South Africans on Friday march to the Union Building to once again express their displeasure with e-tolls. The Congress of South African Trade Unions (Cosatu) and the Gauteng African National Congress (ANC) are today leading a "People's March" to the Union Buildings in Pretoria, encouraging citizens to push back against the plan to resuscitate e-tolls. Cosatu says it and all other working class formations opposed to the e-tolling system will continue to fight for the scrapping of the "unjust and exploitative system". "We are proud of the impact that mass protests and civil disobedience actions organised by the federation have had on the e-tolling system. Many people have not bought e-tags and they have since refused to cooperate with Sanral, making the system unworkable," Cosatu says in a statement. "This march is about sending a clear message to our government that we will only be governed by consent, and we will never allow ourselves to be bullied by those we have elected," Cosatu adds. 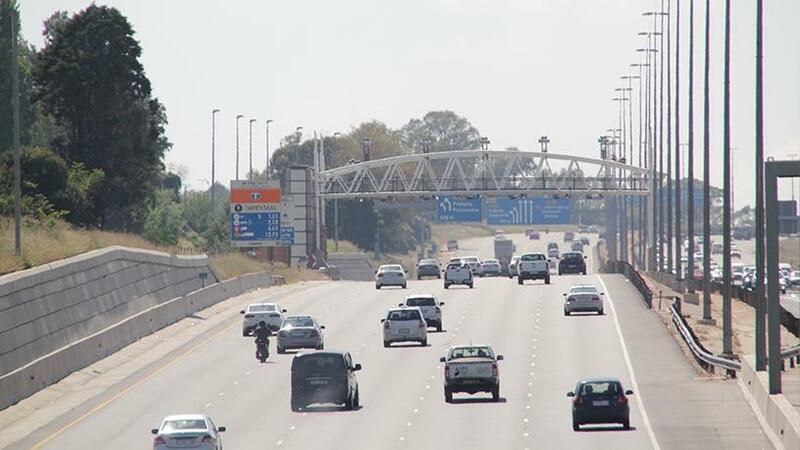 This as the provincial ANC and national government still don't see eye-to-eye on the controversial tolling system, introduced in December 2013 but which the majority of motorists still fail to get on board with. Last month it was revealed that since 2016, the Electronic Toll Collection company has incurred R4.6 million in legal fees trying to get e-toll defaulters to pay up. ANC Gauteng provincial chairperson David Makhura previously said e-tolls were "not a part of the future of the province" and tweeted this morning that the Gauteng ANC would be "advancing people's issues at the #PeoplesMarchGP" today. However, during the Medium-Term Budget Policy Statement, finance minister Tito Mboweni said that if South Africans want the road transport infrastructure to work "we need to pay for our tolls". "The minister of finance's provocative statement represents a clear demonstration of a leadership that is not only power-drunk but views us as its subjects. They believe they can do as they wish and there will be no consequences," Cosatu says. "Minster Tito Mboweni needs to explain to all of us where he gets his mandate, if not from the ANC or the Alliance resolutions. What makes this even more objectionable is that minister Mboweni is an NEC member, who is therefore familiar with the position of the ANC and the Alliance on e-tolls." Cosatu is also calling on transport minister Blade Nzimande to "start implementing the decisions of both the ANC and the Alliance to do away with e-tolls and find an alternative funding model to pay for road improvements". "The time has arrived for all ANC ministers in government to start implementing the policies of the ANC in government. There is not a single structure of the ANC or the Alliance that is in favour of e-tolls, and the people of Gauteng have unambiguously expressed their views on the matter." The verified Twitter account for the 'ANC Greater Johannesburg Region' also this morning tweeted that the march would cover more issues than just e-tolls, saying: "the #PeoplesMarchGP is responding to the plight of the people of Gauteng who have rejected the e-tolls, and have further raised concerns about the poor state of the public transport system, regular fuel hikes, value-added tax increases, cost of data, among other issues". Meanwhile, the Organisation Undoing Tax Abuse (Outa) has also called for its supporters to participate in the march against e-tolls, "to send a strong message to government that the e-toll scheme needs to be discontinued once and for all". "It is grossly unfair of government to expect the users of 1% of Sanral's road network to contribute 34% of Sanral's revenue," says Wayne Duvenage, Outa CEO. Duvenage says the civil disobedience campaign against e-tolls has now pushed the non-compliance rate to below 25%, making this electronic tolling scheme the most inefficient in the world, with more than 90% of revenue collected going to administration costs and virtually nothing toward the tarmac. Other groups reportedly supporting the march are the South African Communist Party and the South African National Civic Organisation.